How Do I Get to NIACC? 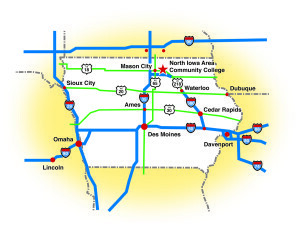 NIACC is located on the east edge of Mason City in North Central Iowa. 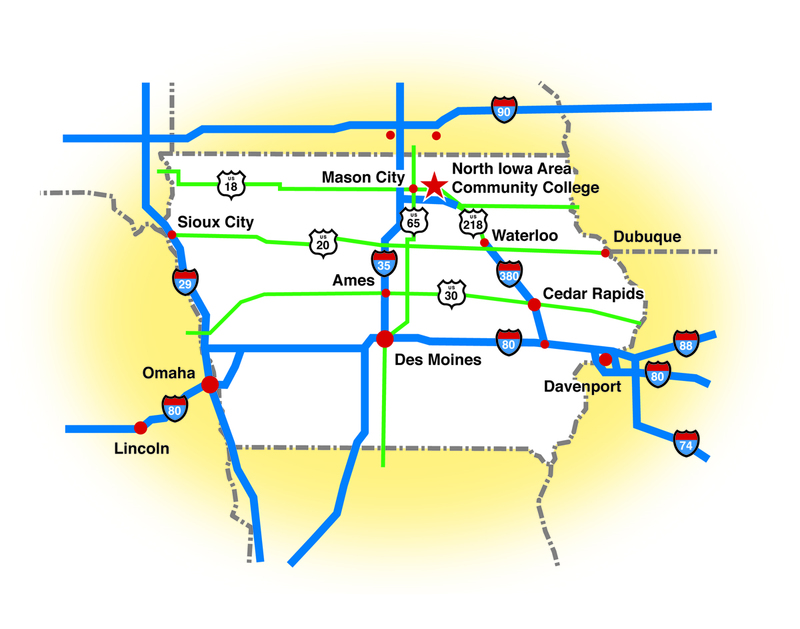 The countryside campus is about a 2-hour drive from Minneapolis, Minnesota and Des Moines, Iowa. If someone in your party will need special assistance or accommodation, please notify the Admissions Office between 8 a.m. and 4:30 p.m., Monday through Friday.